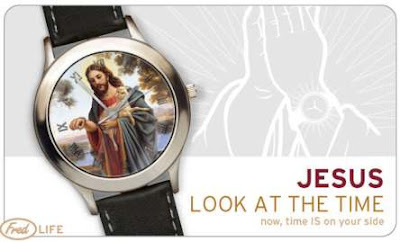 Pete's Geek Speak: Jesus, Look at the time! Keep your eye on Jesus. Buy it here... and check out some very cool gadget gift products. This is the best! I must have one. HAHA! 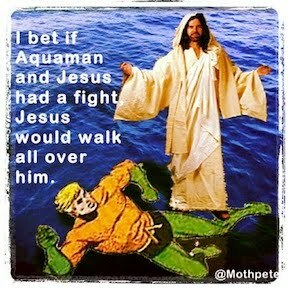 What is Jesus doing! The ice cube tray looks interesting! WATCH out for Jesus, he's coming back soon. And with Roman numerals of course. Do the hands on the watch have holes in them? I bought a similar icetray recently... pain getting the ice out. Maybe if I lube it up a bit... hmmm, lube it up... another intesting thought for these type of ice shishkabob things. Have you copped the jesus feet yet?